Dr. Martinez received the Rosen Award for Academic Leadership in 2007 for his actions taken to ensure funding and clinical rotations for LSU Emergency Medicine and LSU Internal Medicine/Emergency Medicine residencies after Hurricane Katrina. He currently serves as program director for the LSU IM and IM/EM residencies as well as a staff Hospitalist and Emergency Medicine attending. The 2009, 2010, and 2012 Residents' Choice Award for Faculty of the Year went to Lee Engel, MD, PhD. In March 2010 Dr. Engel was also elected as a faculty member to the Beta Chapter of Alpha Omega Alpha Honor Medical Society. He was also nominated for the Allen A. Copping Excellence in Teaching Award and the Faculty Excellence in Teaching Award by the Aesculapian Society. 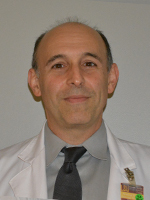 Dr. Engel serves as associate program director for the LSU IM and IM/EM residencies in addition to serving as a staff Hospitalist and Clinic faculty for the LSU Infectious Diseases service. In 2008, Cacky Hebert, MD received the Dean Robert S. Daniels Faculty Award for Excellence in Medical Education. March 2010 Dr. Hebert was elected in to the Beta Chapter of Alpha Omega Alpha Honor Medical Society and nominated for the Faculty Excellence in Teaching Award by the Aesculapian Society. 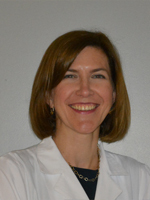 Dr. Hebert serves as associate program director for the LSU IM and IM/EM residencies in addition to serving as a staff Hospitalist, Clinic faculty for the LSU Internal Medicine continuity clinics, and course director for the Introduction to Clinical Medicine course.